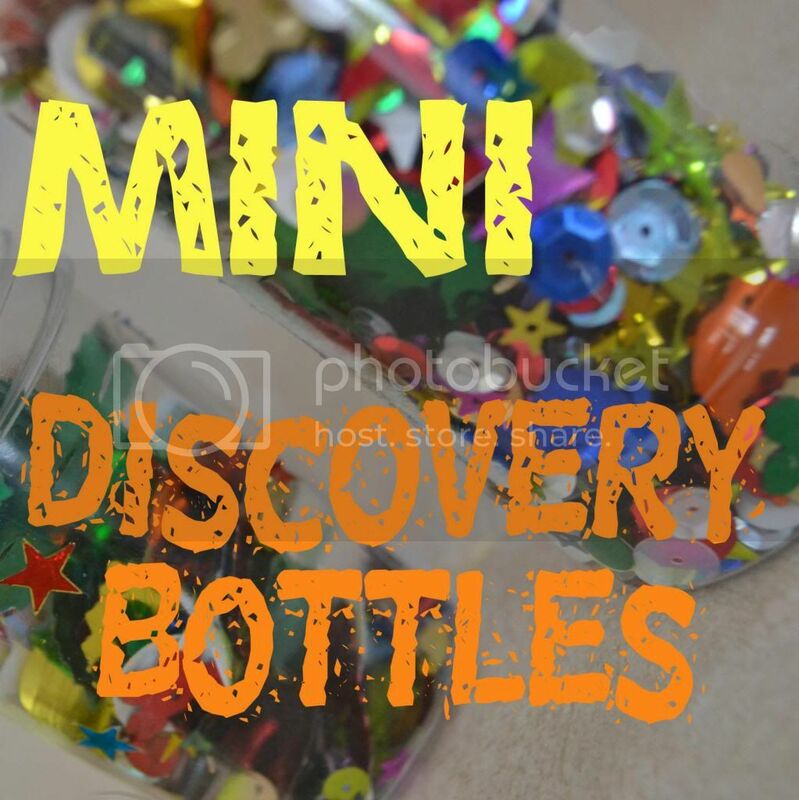 Mini discovery bottles are the perfect addition to a set of busy bags. Although we filled ours, at Ana's request, with sequins that I've had sitting around the house for years. The goal is to not have to buy any materials but make a great toy that kids enjoy. To make the project, simply display materials to be put in the jars, and allow your child to choose what to put in their jar. You can make themed jars yourself. Super glue the lids securely in place, and then add the cute jars to your set of busy bags for a great toy to use when you're out and about. 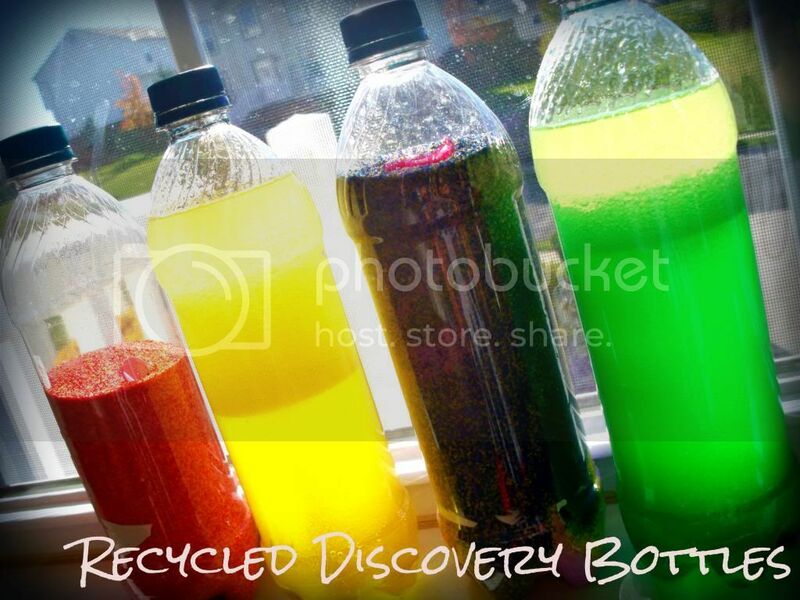 For an alternative idea, make the bottles yourself and surprise your kids with them. It would be much less messy! Important: Sequins and glitter are choking hazards. They are shards of metal! Other small objects are choking hazards as well, and this should only be done under CLOSE adult supervision. If you have materials all over like I did, it is important that you clean them all up right away to avoid hazards. Such a great idea! My toddler would love this activity! What a great idea for keeping the kiddos entertained! I am a fan of busy bags! I especially like the ones that aren't complicated to make or require a lot of money put into supplies. This one sure qualifies! I was hoping to pin this on our Your Green Resource board, but we require a link back to any of the 6 hosts. I hope you'll join our link-up again soon and consider linking back in order to be featured. Thanks! scoге if ads and mаrkеting with Adwoгԁs. Anyway ӏ'm adding this RSS to my email and could look out for a lot more of your respective fascinating content. Make sure you update this again soon. Becki Lewis is a wife, mom, musician, and educator. She lives in a quiet rural/suburban neighborhood near Pittsburgh, Pennsylvania where she gardens, hikes, geocaches, bakes, and gets messy with her two sweet girls. You can read about her family’s adventures in going green at Organic Aspirations and about all things music at Lewis Music Studio. 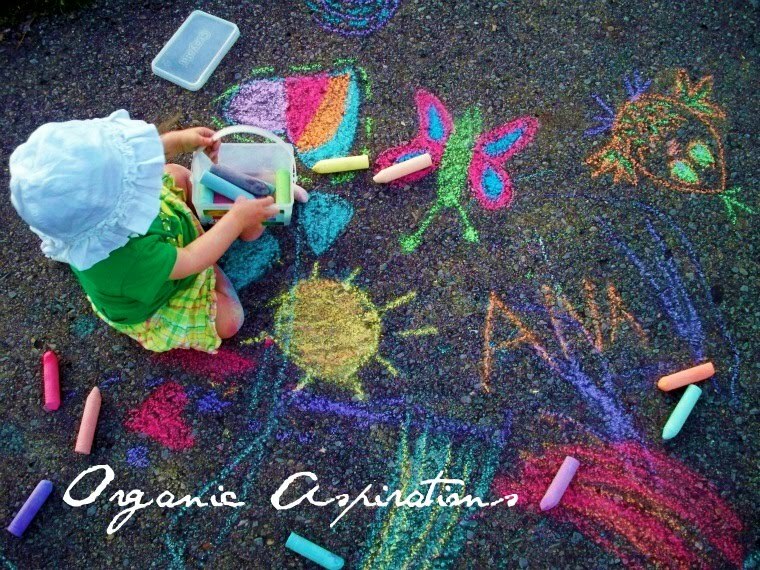 Coppyright Organic Aspirations 2011. Simple theme. Powered by Blogger.